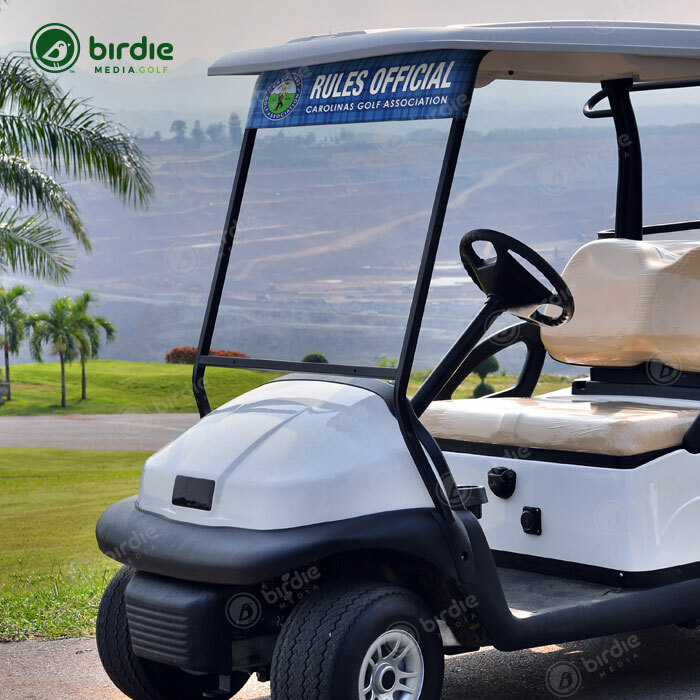 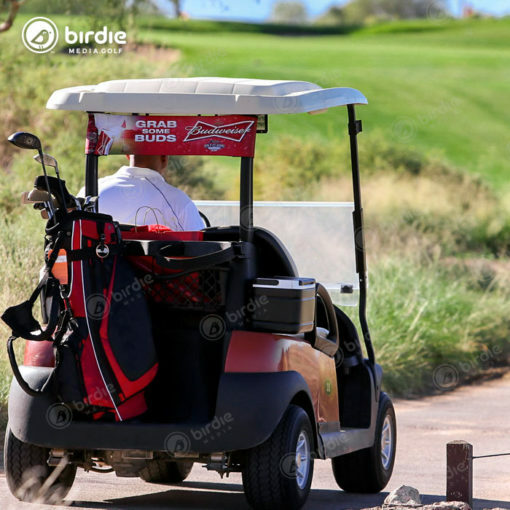 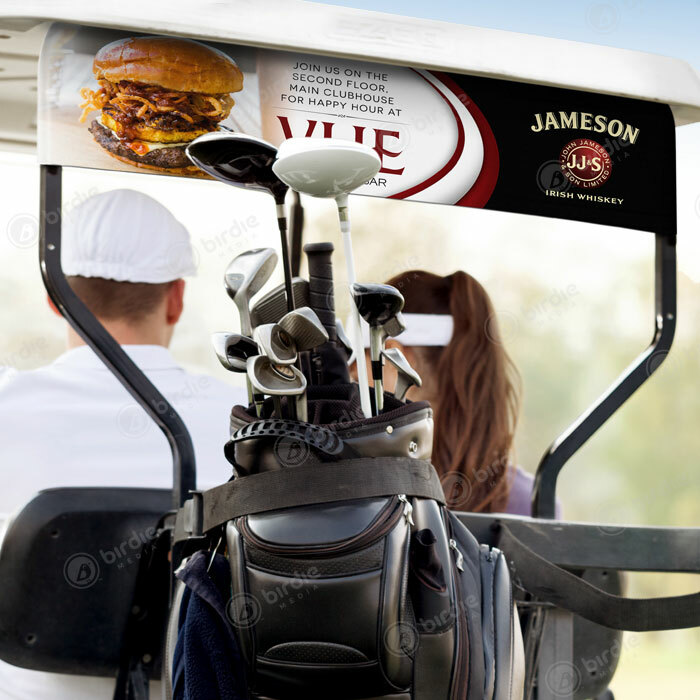 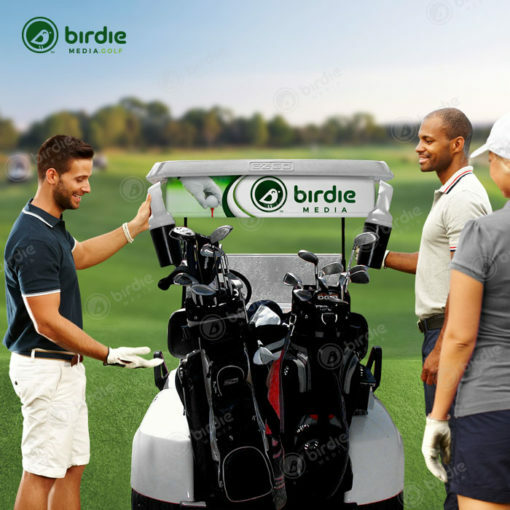 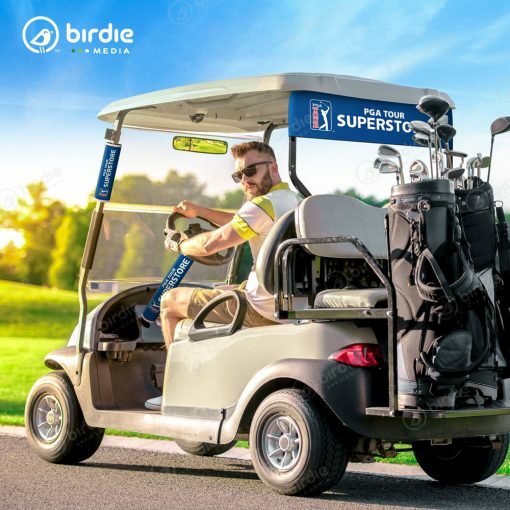 Birdie Media offers unique golf cart customized banners that sponsors love and are willing to pay for! 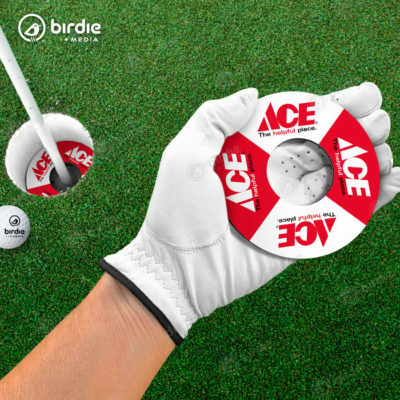 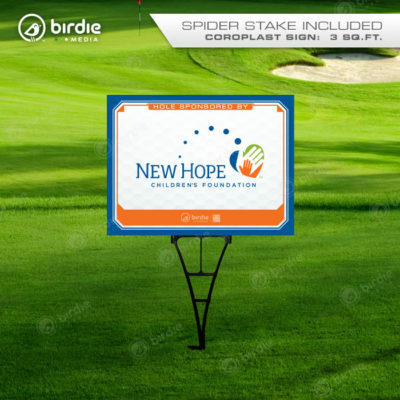 No other golf-sponsored advertising product on the market gives your sponsor greater visibility or ROI for the duration of your golf event. 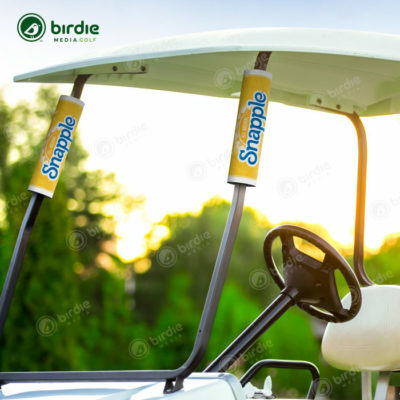 Generate maximum sponsor impressions using our patent pending Birdie Banners. 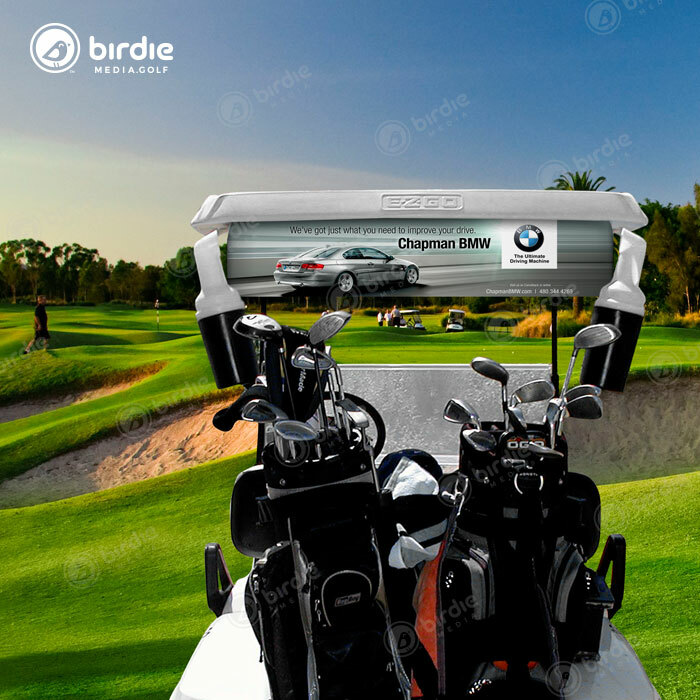 Visible to all registering tournament players these colorful banners travel with the golfer to every hole and convey their message throughout the entire event for 4+ hours! Properly thank your premier sponsors by placing our eye-catching Birdie Banners on the back of every golf cart! 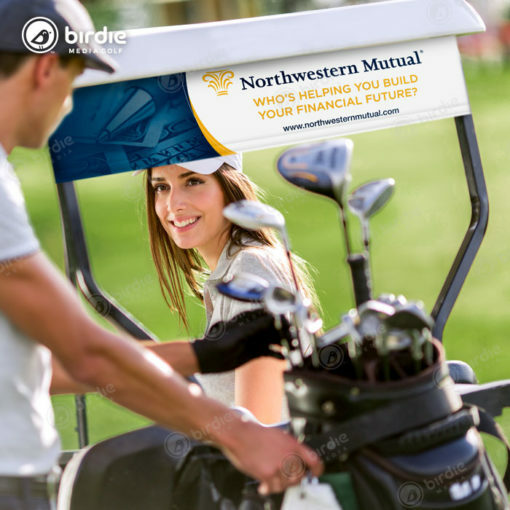 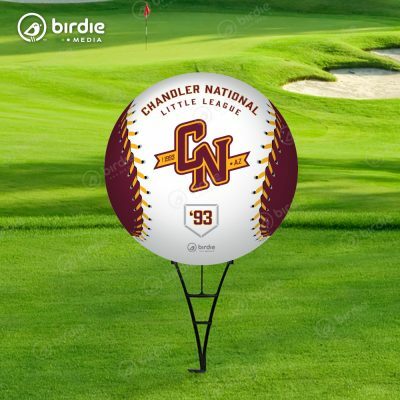 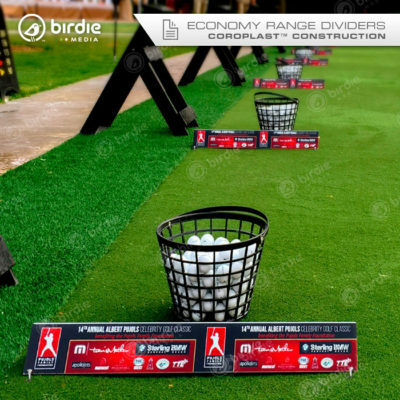 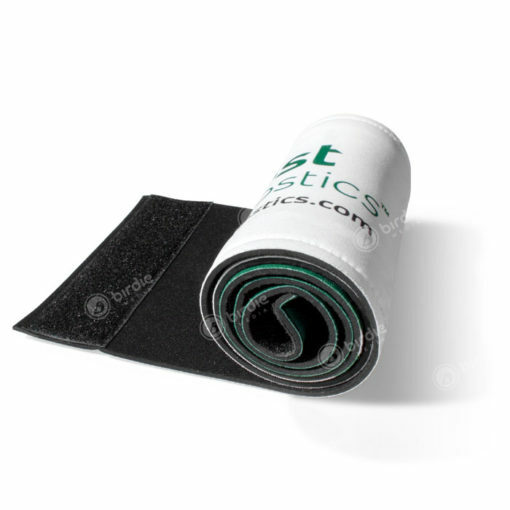 Constructed of high-quality, 3mm neoprene Birdie golf tournament sponsor banners stretch to snugly fit the golf cart’s support frame with absolutely no hardware necessary for attachment. 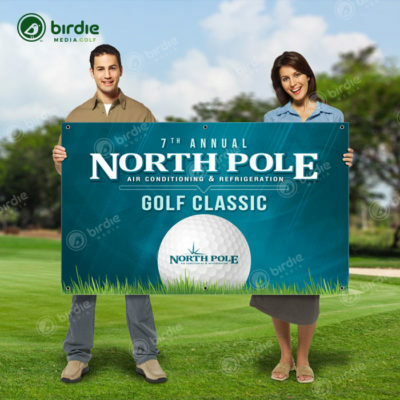 Note – Birdie Banners™ are produced using the same design/sponsor for each minimum quantity (18) ordered. 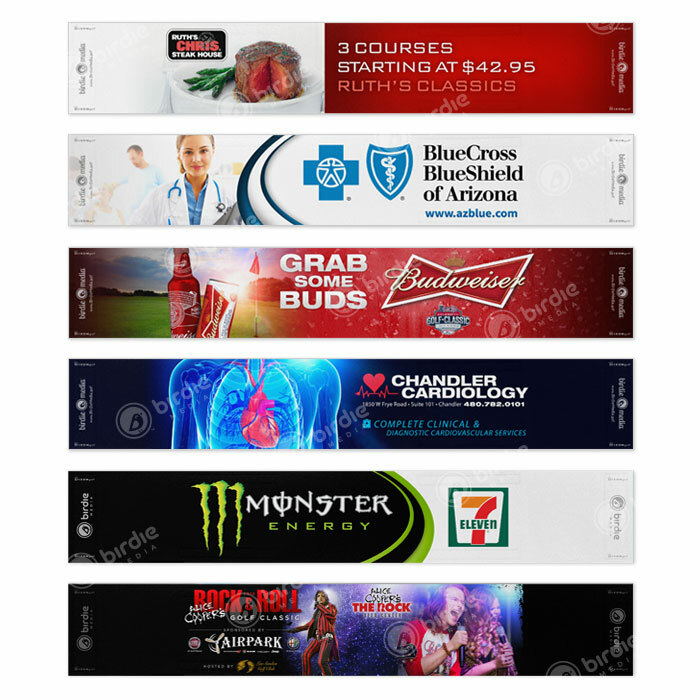 This offer is not for valid for production of 18 varying banner graphics.